Fun Fact: she started her religious life in a cave! 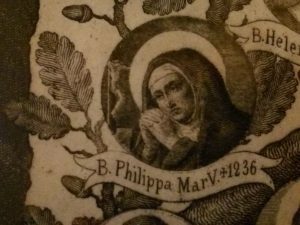 Born in her wealthy family’s castle around the year 1200 in Rieti, Italy, Blessed Philippa Mareri was considered “a good young lady”, known for her virtuousness and voracious study of Scripture and Latin. With a solid background like this her life was shaping up to be quite nice in the eyes of the world: an advantageous marriage, comfortable living, and wide admiration. But then Saint Francis of Assisi came to town. Philippa had never seen the lean friar before, but was profoundly moved by him when he visited her pious family upon coming to the area to found various convents. His spirituality, uncompromising yet simple, and his acts of penance (making up for sins committed) greatly inspired her. Not long afterward, Philippa received a marriage proposal. Since she had already decided to follow the way of the Poverello (Saint Francis), she turned down the offer of marriage with the words: “I already have a Spouse, the noblest and the greatest, Our Lord Jesus Christ.” Her parents protested and her brother Thomas made fun of her. Rather than cave to their wishes, she cut off her hair, put on a penitential outfit, and went, with a few companions, to live a life totally dedicated to God in a cave of a nearby mountain. So great was the love of God she developed there, that her family’s objections to her vocation changed to admiration and support. Thomas even came and offered her a nearby church and old convent that he had at his disposal. 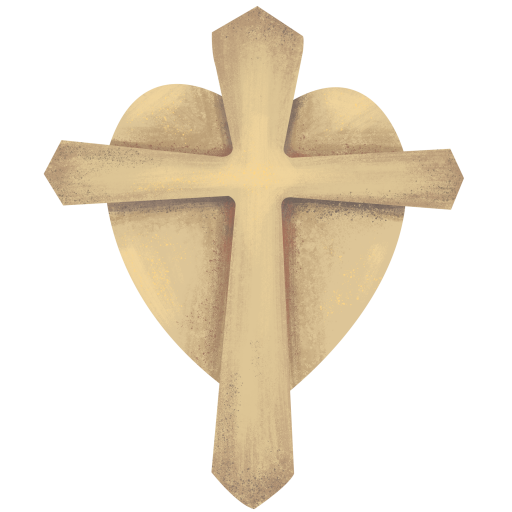 Philippa and her companions eagerly moved there and began following the Rule of St. Clare, with spiritual assistance from Blessed Roger of Todi. The new monastery flourished. Philippa was superior but fulfilled the wishes St. Clare had for Poor Clare abbesses in her Holy Rule: “She should also strive to lead the way for the others more by virtue and a holy way of acting than by her office so that, roused by her example, the Sisters might obey her more out of love than out of fear.” Her commitment to holy poverty was intense. She relied on Divine Providence to satisfy their every want and always told her sisters never to worry about tomorrow. When the community had a great need, it was often solved by miracles. If we look closely in our own lives, we will be able to find similar instances. Even when things might appear seemingly hopeless, all works out for good in the end. Philippa’s life should spur us on. When she contracted an illness and was on the point of death, she gathered her sisters around her and told them to keep on trying to follow Jesus despite their human weaknesses and keep the bond of sisterly charity going strong. After receiving the last sacraments, she bade her sisters farewell with the words “The peace of God which surpasses all understanding keep your hearts and minds in Christ Jesus” (Phil 4:7). She died on February 16th, 1236. 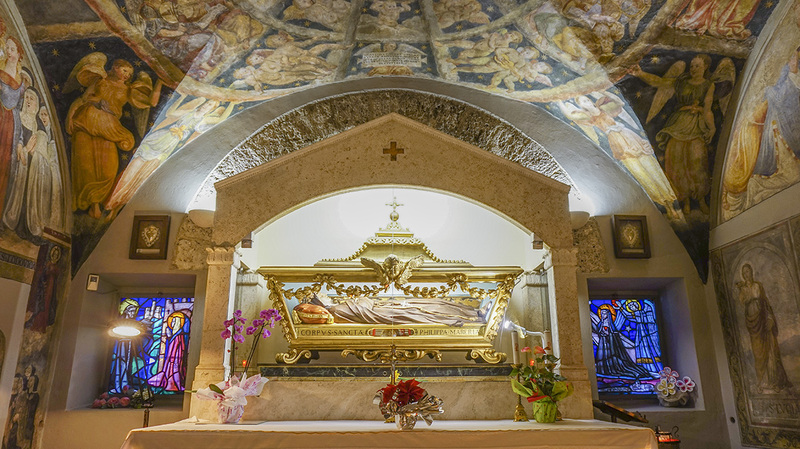 Her body is incorrupt, too! 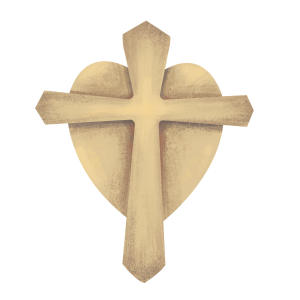 St. Clare of Assisi, The Rule of St. Clare. Trans. Mother Mary Francis, P.C.C. Chicago: Franciscan Herald Press, 1987.